Welcome to our Frequently Asked Questions for Devereux Center for Resilient Children’s (DCRC) Adult Resilience Initiative Resources and Professional Development opportunities! 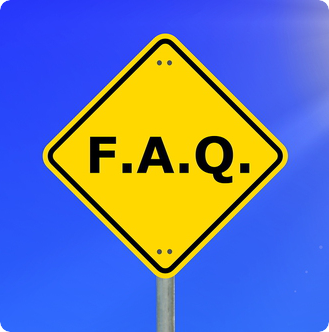 Should you have general questions about Devereux Center for Resilient Children’s (DCRC’s) Philosophy, or questions across age ranges for our Resources and Professional Development, visit our Main FAQs page here. If you have a question about DCRC’s Adult Resilience Initiative that is not included below, please submit your question here! Q1.Why did Devereux create an adult resilience survey and supporting resources? DCRC believes that the important, nurturing adults in a child’s life need healthy protective factors and resilience in order to best model and support healthy resilience for their own children, or the children whom they teach and nurture. For this reason, 2-3 copies of Building Your Bounce: Simple Strategies for a Resilient You (BYB), our adult resilience journal, are included in the DECA Infant/Toddler Kit and the DECA Preschool Kit. The Devereux Adult Resilience Survey (DARS) is embedded within Building Your Bounce and is also available free online for any adult who wishes to reflect on his or her own resilience. Q2. What are some of the various ways programs can implement the DARS and Building Your Bounce (BYB)? Use in research studies on staff satisfaction and likelihood of burnout, etc. Q3. Does the DARS come in any other languages? A Spanish translation of the DARS items is available. To obtain a copy, please send an email to [email protected]. Q1. What is the Devereux Adult Resilience Survey (DARS) and how was it developed? The DARS is a 23-item resilience survey for adults. The DARS helps adults to reflect upon their own strengths and areas for growth related to Relationships, Internal Beliefs, Initiative, and Self-Control. The DARS items were carefully developed through the completion of a thorough literature review of adult resilience, national focus groups with adults who care for and work on behalf of young children (families, home visitors, infant mental health specialists, early care and education providers) and conversations with national experts. The focus groups and conversations with national experts focused on gathering information related to 1) what behaviors adults felt were important to help them bounce back in life as well as, 2) what behavior adults need to provide nurturing, quality care to young children. This work resulted in the development of the DARS and the accompanying resource of strategies, Building Your Bounce: Simple Strategies for a Resilient You. Q2. What are the four factors on the DARS and how were they named? The four factors on the DARS are Relationships, Internal Beliefs, Initiative, and Self-Control. Relationships: The mutual, long-lasting back-and-forth bond we have with another person in our lives. Self-Control: The ability to experience a range of feelings, and express them using the words and actions society considers appropriate. The factors were named through feedback from our advisory board made up of national infant mental health and early childhood experts including DCRC staff, a thorough adult resilience literature review and information from focus groups. Q3. What is the reliability and validity of the DARS? A research study investigated the reliability and validity of the DARS by correlating participants’ scores on the DARS with their respective scores on the Connor-Davidson Resilience Scale (CD-RISC), a resilience scale that is supported by the literature (Connor & Davidson, 2003). The researchers were given permission by the CD-RISC authors to use their scale for this purpose. This study also investigated the reliability of the DARS as a whole, as well as its subscales: Relationships, Internal Beliefs, Initiative, and Self-Control. To view a three-page report of this study, click here. Q4. Why isn’t the DARS “scored”? The purpose of the DARS is not to compare individual’s scores to the population, but to give adults, more specifically teachers, parents and caregivers of young children the opportunity to become aware of personal strengths and areas of need related to their own protective factors. Upon completion of the Devereux Adult Resilience Survey, individuals are encouraged to use the Building Your Bounce: Simple Strategies for a Resilient You Reflective Journal. This journal provides suggested strategies for strengthening adults’ protective factors shown to support the strengthening of relationships, internal beliefs, self-control and initiative. Q1. Are adult resilience strategies available? Yes! Authored by Mary Mackrain, the Devereux Adult Resilience Survey (DARS) is a 23-item reflective checklist that provides adults with information about their personal strengths. Strategies and information within Building Your Bounce: Simple Strategies for a Resilient You can be used to help individuals build on these strengths, such as creativity and setting limits, so that they can better cope with adversity and the stresses of daily life. Q2. How much does the DARS and BYB cost? The DARS is free. Download here. Recently revised and in it’s second edition, Building Your Bounce costs $12.95 per book. Order one or more books here. Bulk discounts are available. Contact [email protected] for more info. Q3. What professional development options are available? We offer keynotes, workshops, and full day sessions on adult resilience. Use as a stand-alone session, or, couple with other options related to social and emotional health and resilience. Visit the professional development page link of website, or, contact Debi Mahler, Director of Professional Development, for options: [email protected].